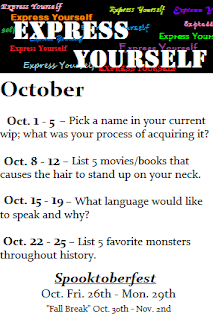 Random Musings and Other Literary Tid-Bits: Express Yourself! 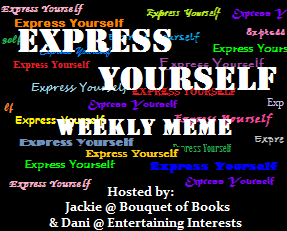 This month I am participating in a fun blog hop meme called...you guessed it...Express Yourself. 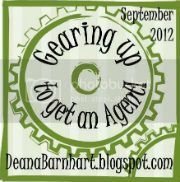 I am excited to do this and also get to know other bloggers in the writing community. To see how a fellow writer's mind works is always fascinating stuff, for sure! I will be leaving my answer to this week's question in this post below. 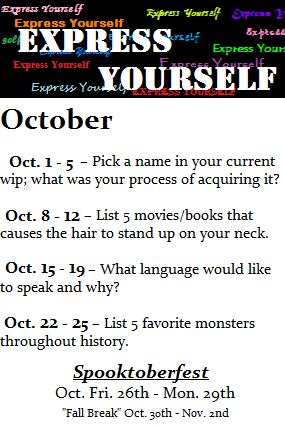 If you would like to participate go and (Express yourself here). I look forward to getting to know you, too. My current WIP is very new--I've only recently started writing it. However, I can't seem to begin writing a new ms without a name for my MC. So, I usually start there and name him/her right away. Now, I recently changed the last name of the MC of my current ms--it just wasn't working for me, even though she (Alison) had that last name for years, basically. So, I changed her last name from Montgomery to Summers. Which suits her much better. But, I really liked the name Montgomery: 1) Because it has been a part of "me" for so long. 2) It's the last name of one of my favorite authors, L.M. Montgomery (of Anne of Green Gables fame). Of course, he'll want to go by Monty, for short. Now you know a little about how my brain works. What are some methods you use to name your characters? Go ahead--express yourself! Ha! I've ALWAYS wondered the the same thing! Like Michael Michaels or Andrews Andrews. What were parents thinking! OR... I work with a girl who's name is Robin Bird... get it?! So funny! Anways, I love your process and the first name Montgomery is really cool. Sounds very posh and oh Upper Side. lol Thanks for joining Express Yourself Meme?! Thanks for having me!! 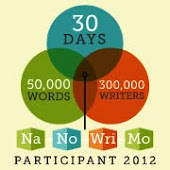 I am newer to blogging and love finding new ways to meet other writers! Ooohhh! Anne of Green Fables! I love, love, love the series! The movies were great, too! But you can't beat the books! I love how you chose the name. Very cool!